Wipro shares have underperformed the broader Nifty in this year so far. 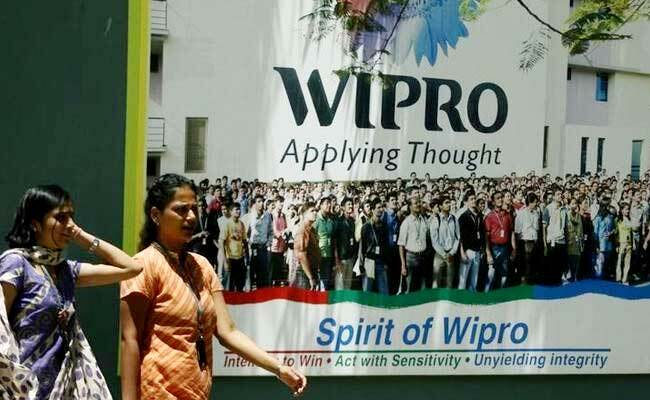 Wipro, India's third largest IT services outsourcer reported its April-June quarter earnings today. Wipro reported net profit of Rs 2,082 crore and at the same time Wipro's board of directors announced a share buyback plan of Rs 11,000 crore. Edelweiss had estimated Wipro to report 0.3 per cent sequential decline in dollar revenue and 1.2 per cent drop in revenue in constant currency terms as Q1 is generally weak quarter for Wipro . Wipro had guided for dollar revenue growth at negative 2 per cent to zero percent for June quarter. A large state in South India has chosen Wipro to implement IT network infrastructure across 30 districts in the state, as part of the "State Wide Area Network 2.0' project, said the company. Wipro has won a multi-year contract from a Europe-headquartered oil and gas major to transform their IT infrastructure and security platform. Wipro will support the client in the design and development of a businessaligned IT backbone that will form the foundation of their digitization strategy, Wipro said in a release. Wipro has won a multi-year engagement with a large utility company in the United States to deliver data center, disaster recovery, service desk and end user services. This program will drive greater automation and improve services to end customers through the use of analytics and the Wipro HOLMES Artificial Intelligence Platform, said Wipro in a press release. Wipro has guided for revenues from IT Services business to be in the range of $1,962 million to $2,001 million for September quarter, says Wipro's management. "The impact on operating margins by rupee appreciation and salary increases was partially offset by strong business efficiencies. We continue to sustain robust cash generation." said Jatin Dalal, Chief Financial Officer. "The announcement to buyback equity shares is part of our philosophy to deliver efficient returns to shareholders." "The brand refresh is reflective of the transformation we are driving at Wipro and how we are helping our customers in their digital journeys," added Mr Neemuchwala. "We delivered revenues above the upper end of the guidance range. Our focus on Digital combined with our investments in client mining have resulted in strong growth in Top accounts." said Abidali Z. Neemuchwala, Chief Executive Officer and Member of the Board. Board approves share buyback proposal of Rs 11,000 crore at a buyback price of Rs 320 per share. Net Income for the quarter was Rs 2,082 crore, an increase of 1.2% YoY. IT Services Margins for the quarter was 16.8%. 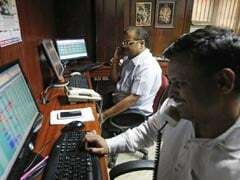 IT Services Segment Profits were Rs 2,190 crore, a decrease of 5.8% YoY. IT Services Segment Revenues in dollar terms were $1,971.7 million, a sequential increase of 0.9% (NonGAAP constant currency increase of 0.3% sequentially) and 2.1% YoY (Non-GAAP constant currency increase of 3.4% YoY). Gross Revenues of Wipro come in at Rs 13,630 crore, an increase of 0.2 per cent annually. TCS, which also reported its earnings earlier this month, said it was optimistic about client spending on technology even as a cautious global environment and a stronger rupee dented first-quarter profit. TCS, part of the salt-to-software Tata Sons conglomerate, reported consolidated net profit of Rs. 5,945 crore in June quarter. Earlier this month, Infosys, India's second biggest IT services exporter, reported a better-than-expected net profit of Rs. 3,483 crore for the quarter ended June 30, 2017, helped by key client wins. Meanwhile, Infosys also raised dollar revenue guidance to 7.1-9.1 per cent for the year, against its April forecast of 6.1-8.1 per cent. Morgan Stanley expects Wipro to report a net profit of Rs 1,992 crore on revenues of Rs 13,459 crore for the June quarter. On the social impact of the company, he said, "We work in the social sphere not just in India, but also in global markets where we operate." "For instance, in the US, where locals constitute over 50 per cent of our employees, we run The Wipro Science Education Fellowship. The Fellowship for teachers in the US has now expanded to the city of Dallas, while we continue to work closely with teachers in Boston, Chicago, New Jersey and New York," he said. During its AGM yesterday, Mr Premji said that Wipro has trained over 39,000 employees in Digital technologies. "Our investments in emerging technology spaces of Artificial Intelligence, Data Analytics and Digital resulted in 603 patents last year." Wipro board may announce a share buyback today. As on March 2017, Wipro had cash and cash equivalents totalling Rs. 5,271 crore ($813 million) on its books. Stating that digital is the central element driving changes in the expectations and experiences of consumers and business models, Mr Premji said, "At Wipro, we strongly believe that our success will depend on our ability to redefine and align ourselves with the new global paradigms and the disruptive developments in our industry." "In this context, the company has made significant investments, organic and inorganic, in transforming our business offerings to serve the new demand from clients," he added. Speaking at Wipro's 71st Annual General Meeting here, he said, "looking ahead, we continue to see volatile economic environment but clients are looking to spend in technology as technology is becoming a major differentiator in all businesses." Wipro Chairman Azim Premji on Wednesday said the company continues to see volatile economic environment ahead. However, clients are looking to spend in technology as it is becoming a major differentiator in all businesses, he added. Wipro had guided for dollar revenue growth at negative 2 per cent to zero per cent for June quarter. "We expect revenues from our IT Services business to be in the range of $1,915 million to $1,955," the company had said while announcing its March quarter earnings. In the March quarter, Wipro had reported a consolidated net profit of Rs 2,267 crore (up 7.2 per cent sequentially) on revenues of Rs 15,033.8 crore (up 4.86 per cent sequentially). For IT Services Segment, its revenue was $1,954.6 million, an increase of 2.7 per cent sequentially and in rupee terms it was Rs 13,402.1 crore (up 1.56 percent sequentially). Wipro's operating margins (EBIT) is likely to contract 90 basis points quarter-on-quarter in Q1 on account of rupee appreciation, wage hike and visa costs, Edelweiss said.